HYDERABAD: Suman Kumari has become the country’s first Hindu woman to have been appointed a civil judge after passing an examination for induction of judicial officers. Ms Kumari, who hails from Qambar-Shahdadkot, will serve in her native district. Suman Kumari passed her LL.B. examination from Hyderabad and did her masters in law from Karachi’s Szabist University. She then worked for Advocate Rasheed A. Razvi’s firm. Suman Kumari fears that her community would not appreciate her decision to become a lawyer, but “I am confident my family will stand by me come what may”. She is a fan of singers Lata Mangeshkar and Atif Aslam. 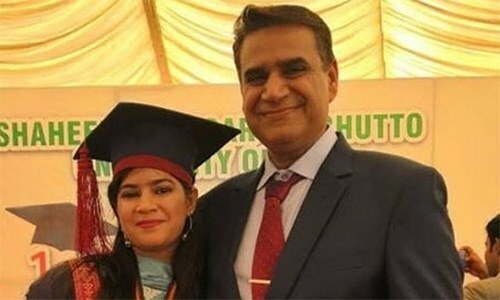 According to Dr Pawan Kumar Bodan, her father, Suman wants to provide free legal assistance to the poor in Qambar-Shahdadkot. “Suman has opted for a challenging profession, but I am sure she will go places through hard work and honesty,” the father said. Dr Bodan is an eye specialist while Suman’s elder sister is a software engineer and another sister is a chartered accountant.